For many cat homes, nothing is more unsightly than a dirty litter box. Nothing is more embarrassing than the sight dirty little box when having guests over. Despite how hard we try, you can never hide that smell. And you can bet your cat will want to eliminate at just the wrong time. That’s where litter box concealment comes in. There’s some amazing solutions out there on the market today that many cat lovers may not be aware of. I’m going to show you a few products that are out right now and may provide a solution to your ugly litter box dilemma . There’s a wide range of custom made cat litter box concealment furniture that look and feels like it’s supposed to be there. Wonderful looking pieces of furniture, coming in a range of colors from dark mahogony with brass handles to white birch, matching any decor you have in your home. This concealment furniture, not only looks good, but also serves a very practical purpose, it hides your cat when he has to go, and it doesn’t matter if you have guests, they will never know. These beautifully custom designed concealed litter boxes are also designed, so that no cat litter spills out, as well as keeping odors where they are supposed to be, in the litter box. Additionally, they give kitty a little bit of privacy, which helps when you have strangers in the house. Not to mention, that it can help them not feel the need to go elsewhere, and there are many different designs, all of which are easily accessible for cleaning purposes. Once you own one of these products, you will wonder how you ever lived without it. 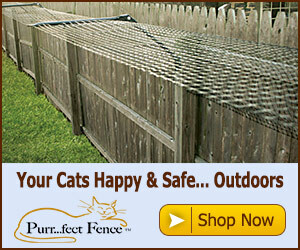 And not only are they easy and affordable solutions, they will last the lifetime of your cat too. With so many different products specifically designed for litter box concealment, it’s easier than ever to find one at great piece. Whatever color, material, or finish you like, you’re sure to find something that appeals to your sense of design. Take a look below to see just a few example of products that will help you hide those unsightly litter boxes. We strive to find products that meet all of your pet furniture needs. We want your pets to feel part of your family and we present you products that do just that.